I received an email from 3D Systems today, announcing that the Sense software has been upgraded. The upgraded software is called Sense Plus, and is available only for the Windows version. From the email, I learnt that new features include faster scanning at 25 FPS, improved tracking and new color editing tools. I installed it and discovered that it also contains image detection (something like face detection for cameras on smart phones). I own a Sense 3D Scanner, and bought it when it was newly launched in 2013, after being sold by the hype around ease of use. The software interface and scanning performance did not meet up to expectations then. I hope that with the Sense Plus upgrade, the scanner can capture usable scans. 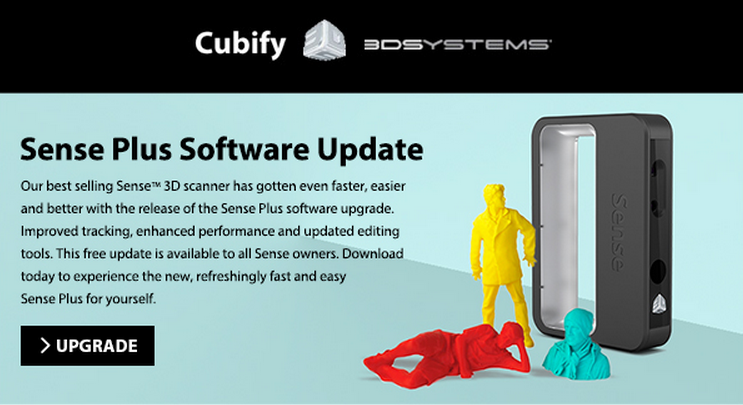 To get a feel of the new features, you can view tutorials from 3D Systems’ Cubify site here. I will post my findings in a couple of weeks. Stay tuned!